For Independence Day, I wanted to do something other than just listing out all of the best flag-waving, red white and blue, freedom loving country songs. Mainly because that’s already been done and also because that list would be far too long. Instead, I’m choosing to write about the country songs that focus on my favorite things about America like its diversity and acceptance of those differences. This verse is my favorite because it serves as a reminder of the rich diversity we have in this country. No, we are not all the same, we are many different races, religions, cultures, etc. “But that’s what makes us strong,” as Dierks correctly points out. I think that now, more than ever, we need to stop seeing these differences as barriers that prevent us from coming together and instead to look at them as an expression of what makes America great. Next on the list is my man Waylon Jennings. Though he may have been an outlaw, this man was still a patriot. “America” is truly a song of acceptance. Though Waylon wasn’t the first to record it, that was the song’s writer Sammy Johns, his version is the one I’m familiar with. In “America,” Waylon sings about his acceptance of all types of Americans. Although he may be from Tennessee (at least for the sake of this song) he sings that the people in California are nice to him. Proving that no matter where you roam in this country, Americans are good people. He also mentions the men who went off to war and “lived through hardship and pain” while also recognizing those who chose not to fight in a war that they did not support- showing his acceptance of people in each of these camps. This song includes a message of racial acceptance as Waylon refers to those from other races as his brothers. He also acknowledges that America must make good on its promises to the Native Americans. We could use more country songs like this! I also love the way Waylon adds an extra syllable to the word “America,” just like Sammy Johns did. It’s not A-mer-i-ca, it’s A-mer-rer-i-ca. It’s not so much the song as it is the music video that earns this 2002 hit from Aaron Tippin a spot on this list. Although this song was used by Ted Cruz during the Iowa Caucuses in 2016, Tippin came out and said, “I’m not endorsing anyone, but I hope that my song will help get folks out there and do their patriotic duty…vote!” Regardless of what Aaron Tippin’s politics may be, this video left such a lasting impression on me that I would regret not including it. 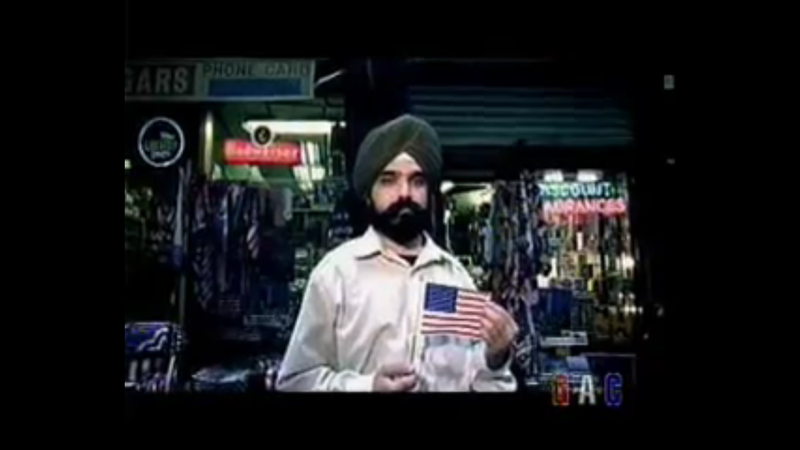 This video was filmed in New York in September 2001 right after 9/11 and includes scenes of the rubble, members of the NYPD and FDNY, and images of cards with messages like “God Bless America” written on them. It also includes close-up shots of American citizens from a wide range of diverse backgrounds, including Hasidic Jews, a Buddhist monk, a Sikh, among others. I remember watching this video as a kid and having my curiosity peaked as these images of diversity flashed across the TV screen. At the time, I lived in a town that had very little diversity- I can say with certainty that I had never seen a Hasidic Jew, a Buddhist monk, or a Sikh before. I’m sure this was the case for a lot of people in rural America at the time. I’d like to think that the message that Aaron had in mind when filming this video was one of inclusion and of putting aside our differences to come together as a nation, especially after September 11th. This was the message that I received at least. This video resonated with my eleven-year-old self so much that I can still remember watching it to this day. I’m also pretty sure that this video is what led me to become interested in world religions- something that would go on to shape the rest of my life. Currently listening to: Shooter Jennings- “4th of July.” To be honest, this is my all-time favorite 4th of July jam! He’s also Waylon Jennings’ son which is pretty dang cool! I’ll be listening to this all day today…and other days that aren’t July 4th as well! Just letting y’all know- I’ll be heading out to Kenya in a couple of days and will be gone for about two weeks. I’ll be sure to post once I’m back stateside.